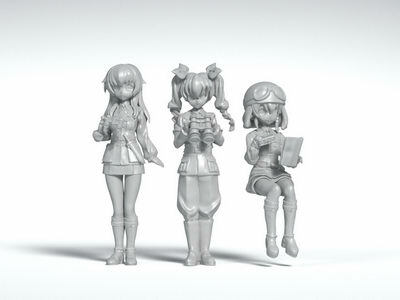 July 18th, 2016 By: GGT Category: 2016/07 release, Figure News. 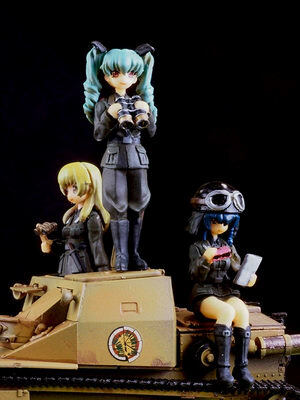 Poly-Toys is going the release the Anzio High School Set Ver. 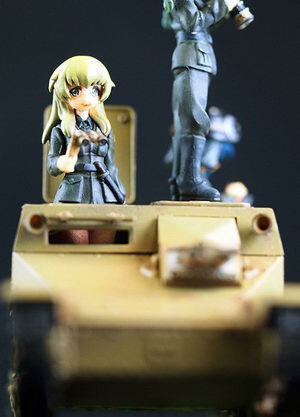 2 ( アンツィオセットver2 ) 1/35 GK from the anime “Girls und Panzer” ( ガールズ&パンツァー ). 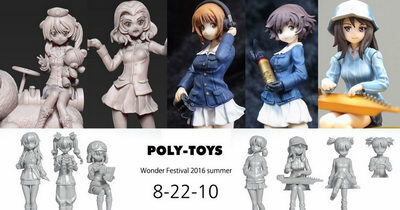 Will be released in Wonder Festival 2016 [Summer] on July 24, 2016. 5,000 yen. Eye decals are included. Kit is NOT pre-painted nor completed. The table number of “Poly-Toys” is 8-22-10. You will find them there!